As I continue further into our journey with homeschooling with Charlotte Mason, I am learning so many things. 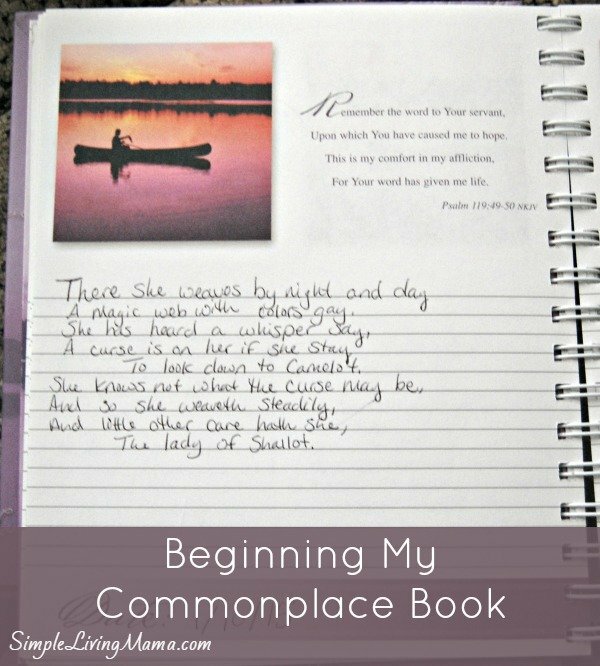 I had not heard of keeping a commonplace book before, but once I learned about it I knew it was something I would naturally want to do. I have kept various notebooks throughout my life. They have been filled with poems, thoughts, and stories. Since becoming a mother, I found myself stopping all of that! I want my children to have a love of literature, so I need to model a love of literature for them! I started reading poetry just for enjoyment again. Whenever I come across a passage that resonates with me, I write it down. Currently, I am using an old journal as my commonplace book. It does have pre-written Bible verses on each page. The first few pages of the book were used as a diary of sorts, but now I am enjoying writing down my thoughts. I also plan to keep images and nature drawings of my own with my children when we start a more formal nature study. I am excited about learning with my children and keeping bits of what we learn! 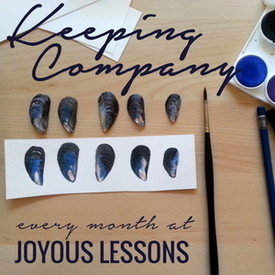 I want to encourage my children in the art of Keeping throughout our homeschool, as well!